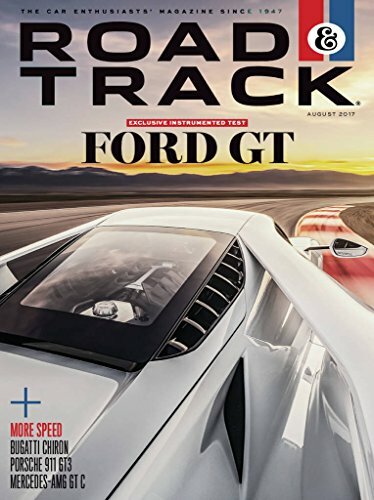 Road & Track knows autos, which is why guys turn to us for our trusted auto news, expert road tests and new car reviews, the hottest concepts and more. Road & Track magazine is one of the top magazines for auto enthusiasts. Flipping through the magazine is like standing in the middle of an auto show, because each issue contains cutting edge designs and news you won’t find anywhere else. Whether you need to buy a new car or you have an interest in vehicles, you will appreciate every issue. Road & Track magazine provides some of the best road tests in the industry. Each author gets behind the wheel of a vehicle and races it across different areas, including street and off-road conditions to ensure that you get a realistic rating for each car. The issues also include buying guides for readers interested in purchasing a new car, which will make sure that you get the most bang for your buck. Automobile enthusiasts reach for Road & Track magazine for its top-notch coverage of breaking news. The magazine contains some of the most in-depth articles on vehicle technology in the world, including new advances in automobile manufacturing, new accessories on the market, and changes that manufacturers make to newer vehicle models. Every issue also looks at some of the upcoming car shows from around the world, providing readers with details about when the shows take place, the cars on display, and the magazine provides coverage after each show ends. A subscription to Road & Track magazine gives you all of the insight you need when it comes to learning more about new vehicles or purchasing a car.